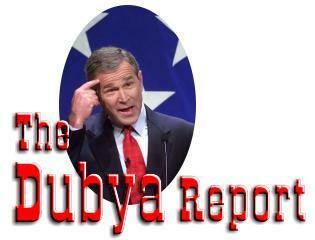 Reviewed by The Dubya Report staff. Bush-League Spectacles, Fran Shor's terse new volume, is really two books in one. The first, which is a compilation of Shor's essays that first appeared on popular progressive web sites, such as Counterpunch, CommonDreams, and History News Network, treats the topics enumerated in the subtitle: Empire, Politics, and Culture in Bushwhacked America. The second, which Shor designates part four, consists of two short essays sketching the outline of a political response to the right wing trend that has been such a strong influence in this country for the last thirty years. Shor is a critic of capitalism and quotes anarchist Emma Goldman with evident admiration. This political orientation finds expression in locating the Bush administration's imperialism abroad and suppression of opposition at home in historical context. Shor sees the current neoconservative imperialist designs on the Middle East as continuous with the Cold War strategies of containment, anti-communist ideology, and fear of independent anti-colonial uprisings. Skimming over analogies between the war in Iraq and the war in Vietnam, Shor finds resonance with the Spanish American War, and in particular the anti-insurgency campaign in the Philippines. Where Bush has his "crusade" in Iraq, President McKinley and his supporters believed the US would be rescuing Filipinos from barbarism; each also evidenced "moral blindness" that led to "massive slaughtering." The analogy to the Spanish American War holds in another important way. "In the Philippines," Shor writes, "the US was seeking coaling stations in its expansion to a two-ocean navy and as a stepping stone to the potential markets of China. In Iraq, the US intends to set up permanent military bases for potential threats against Syria and Iran an to protect US interest in oil and gas in the Middle East and Caspian Basin." Shor acknowledges that, unlike Iraq, where oil is central to US policy, in the Philippines policy "was not driven by immediate economic interests." ... [E]mpire is expensive. It costs a very great deal of money. It kills a large number of human beings It confines and progressively throttles spontaneity and imagination. It substitutes paranoid togetherness for community. In several of Shor's essays he examines the interconnection of "hypermasculanism" in a social and psychological context, with militarism in a geopolitical context. Referencing Barbara Ehrenreich's Blood Rites, Shor describes the hypermasculine individual as a bully who "attempts to browbeat and punish those who threaten the pseudo-invulnerability fostered by an aggressive masculinity." Shor takes care to note that hypermasculinity is not an essential feature of maleness, but rather is historically and socially conditioned. Since the Cold War, Shor suggests, "specifically, but not exclusively, the retributionist right-wing have undertaken military campaigns designed to demonstrate punitive prowess throughout the world." Ironically, terrorism may be a consequence of this international bullying. Shor joins historian Chalmers Johnson in suggesting that, by harming the innocent, terrorists seek to "draw attention to the sins of the invulnerable." ... protected by technological abstractions and managerial hubris, the war-makers conduct their patriarchal punishment with a fundamental disconnect to the actual messy consequences. Shor is perhaps at his best when he is chronicling historical detail, as, for example, in his "The Story of Frank Carlucci." In five compact pages Shor uses the events of Carlucci's political life to illuminate how Nixon- and Reagan-era figures continue to benefit from and influence US military policy, in what Shor dubs "the imperial racket." Somewhat less successful are his policy critiques, most of which are in part two, "The Spectacles of Politics," in which Shor's writing may serve to encourage those who already share his point of view, but runs the risk of being dismissed as academic name calling. Some of this is perhaps just a matter of style. "Coming from Hollywood and the Pentagon, those paragons of principled practice," Shor writes in "Arnold and Wesley," a comparison of California governor Arnold Schwarzenegger and 2004 presidential candidate General Wesley Clark. The alliterative irony may appeal to those who are looking for a polemical turn of phrase to ornament their opinions, but one doubts if it advances Shor's argument. Similarly, Shor from time to time precedes ironic critical language with "of course," or "one can only assume," as "One can only assume that Republicans want the poor to die off...," or "Of course, Arnold's self-proclaimed feminist sensibility is massively contradicted by his misogynistic antics...." These rhetorical devices seem to be an effort on Shor's part to establish a common frame of reference with his reader, but their use contrasts with the more analytical (historical, sociological) essays and contributes a certain choppiness to the book. It is as if Shor occasionally feels hemmed in by his subject matter and strikes out in bursts of alliterative prose. That Shor is sensitive to the "frame" of his message is evidenced by references to the writings of George Lakoff, whose work has suggested that differing political ideologies result from generalizing onto the nation differing idealized models of the family. In particular, conservatives tend to employ a "strict father" model, that shares aspects of hypermasculinity discussed above. "While convinced of their own sense of right and wrong," Shor writes, "these punitive patriarchs promulgate policies that demand obedience." It seems to this reader, however, that Lakoff's point is not just that those who adhere to a given political ideology "are convinced of their own sense of right and wrong," but that their political attitudes are part of a worldview within which they live. Thus they are actually incapable of seeing another perspective, and in the conservative case, protecting the worldview itself is the greatest value. Lakoff concludes his Moral Politics with a three-part indictment of the conservative worldview, and perhaps this aspect of Lakoff's writing is more important to Shor than Lakoff's efforts to clarify how political discourse might proceed. Shor may be more concerned with confrontation than dialog. "... [W]e need to recognize that fundamental political change can only come about through a coalition of struggle," Shor writes. "This cannot be built through electoral politics, but outside of and prior to such politics." The two essays in "Part Four: Countering Bush-League Spectacles" apparently were written especially for this volume. It takes "radical imagination," Shor suggests, to envision an alternative to the Bushist right wing agenda. That begins, he asserts, with locating Bush administration imperialism in historical context (as he has done), and may require an enlightened consumerism on the part of individuals, making ecologically sound choices in their purchasing and lifestyle. Shor notes that military recruitment has begun to decline as the war in Iraq lost popularity, but warns that the military industrial complex still "attracts the allegiance of large sectors of the US population," and is expanding under the Bush administration. The evangelical trappings of empire, Shor adds, have been tarnished by the events at Abu Ghraib, Guantanamo, and the revelation of secret prisons that even the Red Cross cannot visit. Nonetheless, Shor warns, it may not be possible to measure the effectiveness of political action against empire in "instrumental" terms, rather it may require an "existential leap of faith." Shor recounts the story of a political prisoner in Vietnam who planted a peach pit before he was executed; the pit grew into a tree, which became a memorial after the war, and is now an orchard. It is to this kind of concerted, committed action, that continues despite any evidence of success in the short term, that Shor urges us. In an essay on political change in part two of the book, he comments on a remark by Martin Luther King. While it may be that, as Dr. King put it so eloquently, "the arc of the universe bends towards justice," we will have to bend our own wills toward justice without illusions and with all the intelligence and imagination at our command.